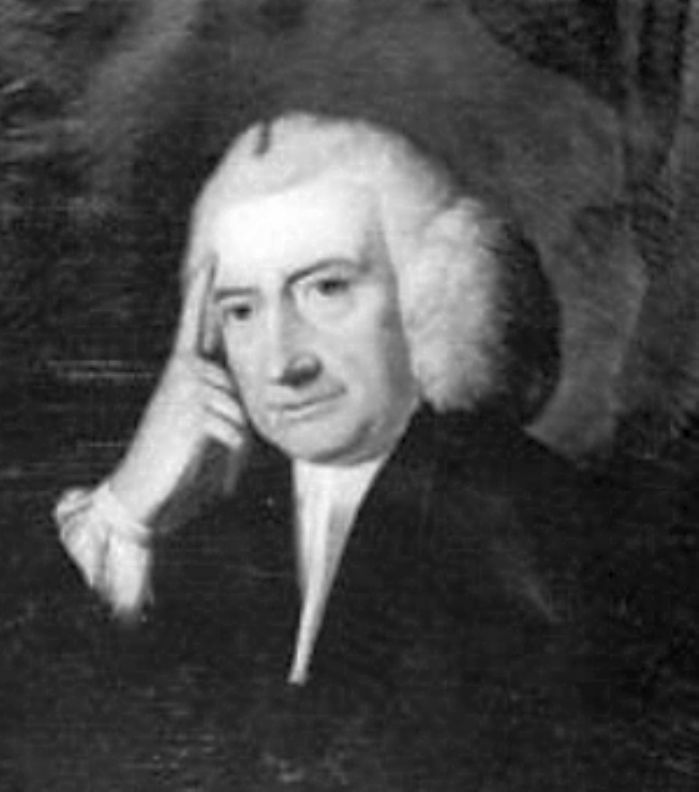 William Borlase (1758) gave a vivid account of a tsunami observed in Mount’s Bay in 1755. “On the 1st of November, 1755, about two o’clock in the afternoon, the Barometer being at the highest I have noted it for three years past, ….the sea, about half an hour after ebb, was observed, at the pier of St Michael’s Mount, to rise suddenly, and then to retire. This attracted the attention of the spectators, and to their great amazement, ten minutes after, the sea rose nearly six feet, coming in from the South-East extremely rapid; it then ebbed away with the same rapidity to the Westward for about ten minutes, till it was near six feet lower than before; it then returned again, and fell again in the same space of time, and continued the agitation, alternately rising and falling, each retreat and advance nearly of the space of ten minutes, till five hours and a half after it began. During this agitation the Seyn-boats, riding at the head of the pier, were whirled some one way, some another; and the fishermen endeavouring to bring some boats into the pier, they were hurried in and out of the mouth of the pier, as the Sea advanced and retired, with an impetuosity not to be resisted; and yet no life, or boat, or ship was lost. The first and second fluxes and refluxes were not so violent as the third and fourth, at which time the Sea was as rapid as that of a mill-stream descending to an under-shot wheel, and the rebounds of the Sea continued in their full fury for two hours; they then grew fainter gradually, and the whole commotion ceased about low-water. In Penzance pier, three miles West of the Mount, the tide rose eight feet, and in Newlyn pier, one mile farther West, ten feet high, the water coming from the South-East, being as it were accumulated by the Western head-lands, which form Gwavas Lake near the last-mentioned pier; but no material damage was done at either place. The same agitation, though somewhat later in the day, was observed in the Northern Channel at the pier of St Ives, where the highest water rose betwixt eight and nine feet, and in Heyl Harbour adjoining, one rise was seven feet, the rest little more than two. All this while there was not the least trembling or motion of the earth perceived in any parts near us; but on the same day, about ten o’clock in the morning, the most dreadful Earthquake even known happened on the Western coasts of Portugal and Spain. The city of Lisbon was destroyed, 30,000 persons, some say more, lost their lives, St Ubes, Sevil, Cadiz, St Lucar, Oporto, Faro, were greatly damaged, and many lives lost. Ships sixty leagues distant from Lisbon, to the West, felt the shock in the same degree as if they had struck upon rocks. The Tagus rose from ten and twenty to thirty feet perpendicular, ebbing and flowing several times, but every time decreasing; and between the agitation of the Sea, and the violent shaking of the earth, the desolations of that country are not to be expressed, and have never yet been exactly estimated. Some authors invoked the concept of theodicy (an attempt to reconcile deistic belief with human suffering) in explanation of such disasters. Borlase recognised the connection with the Lisbon earthquake recorded 5 h earlier, but could scarcely believe that the quake could cause so great a disturbance so far away as Mount’s Bay. 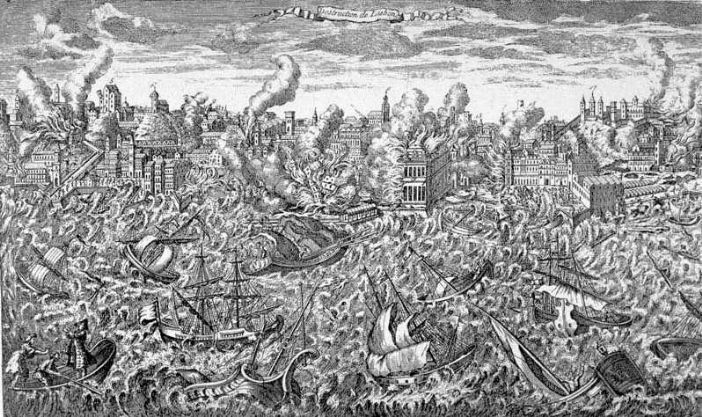 The epicentre was in the Atlantic Ocean about 200 km west-south-west of Cape St Vincent, and at 8.5 on the Richter scale the quake, together with the accompanying fires and tsunami, caused great destruction and mortality in and around Lisbon. The death toll in Lisbon has been estimated as 30,000 to 40,000 people (Chester, 2001). It was fortunate that the tsunami in Mount’s Bay came shortly after ebb tide; in the Scilly Isles this tsunami came at high tide, and caused extensive flooding (Dawson et al., 2000). Borlase later recorded two more tsunami in Cornwall, in March and July 1761. The March tsunami coincided again with an earthquake in the Lisbon area. In each case the sea rose by about six feet in Mount’s Bay, and made alternate advances and retreats over a period of one or a few hours. Some authorities have warned that in the unlikely event of another such earthquake West Cornwall and the Isles of Scilly could be seriously affected. Borlase, W (1758) The natural history of Cornwall. Oxford. Pp. 53-4. Dawson, A.G. et al. (2000) Abnormal historic sea-surface fluctuations, SW England. Marine Geology 170:59-68. Edmonds, R. (1846) An account of an extraordinary movement of the sea in Cornwall, in July 1843, with notices of similar movements in previous years, and also of earthquakes which have occurred in Cornwall. Br. Assoc. Advancement Sci. 38:112-121. (Cited in Dawson et al. 2000).